What CleverReach Triggers and Actions are Supported? New Unsubscriber - Triggers when any current subscriber unsubscribes from a list. New Subscriber - Triggers when new subscriber is added to the list. New List - Triggers when new list is created. Add/Update Subscriber - Adds a new subscriber in a selected list. Can be used to update an existing subscriber too. Unsubscribe Email - Unsubscribe an email address from a specified list. 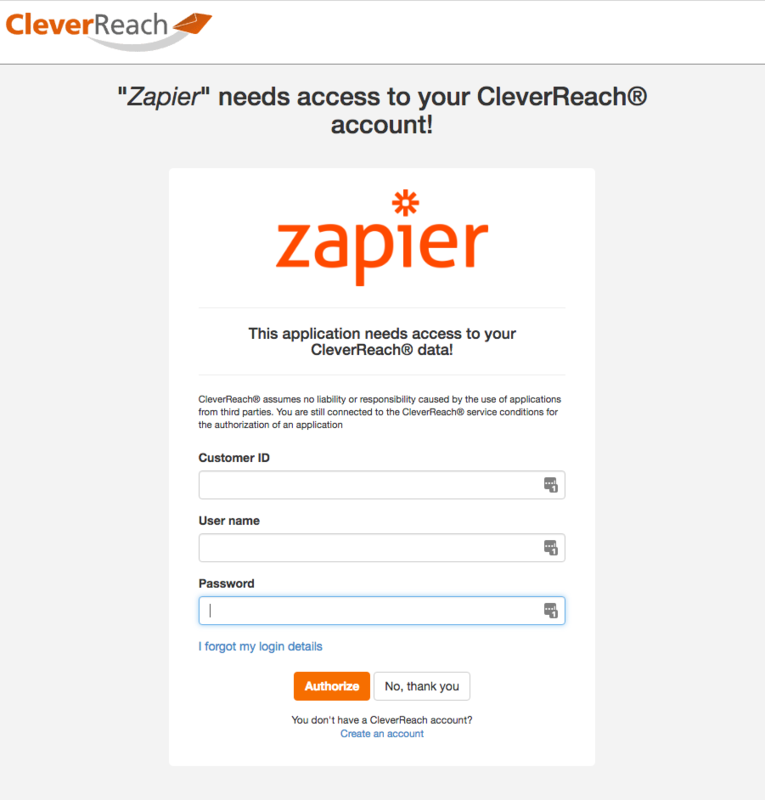 If all steps were successful your CleverReach® account will now be successfully connected.